If there's one thing in the industry that has a bad reputation, it's licensed games. From the shonky movie tie-ins of Captain America: Super Solider through to the remarkably tone-deaf Reservoir Dogs, licensed games have a legacy of being bad. But throughout the industry's long history of poorly received licensed games, the Warhammer franchise has been silently putting out games that do more than just sell, but actually appease fans and receive a warm critical reception. From the early days of Warhammer: Shadow of the Horned Rat when developers were simply trying to translate the tabletop game into a virtual experience, through to Warhammer 40,000: Space Marine where the goal was to create fast-paced, brutal action, the iconic Games Workshop franchise has been an anomaly in the world of licensed games. Warhammer: Vermintide is the most recent and perhaps best example of a licensed Warhammer game done right. Fatshark, the studio behind the co-operative first-person hack 'em up, managed to find genuine success selling over two million units since the game's launch in October 2015, and even getting a console port in early 2016. 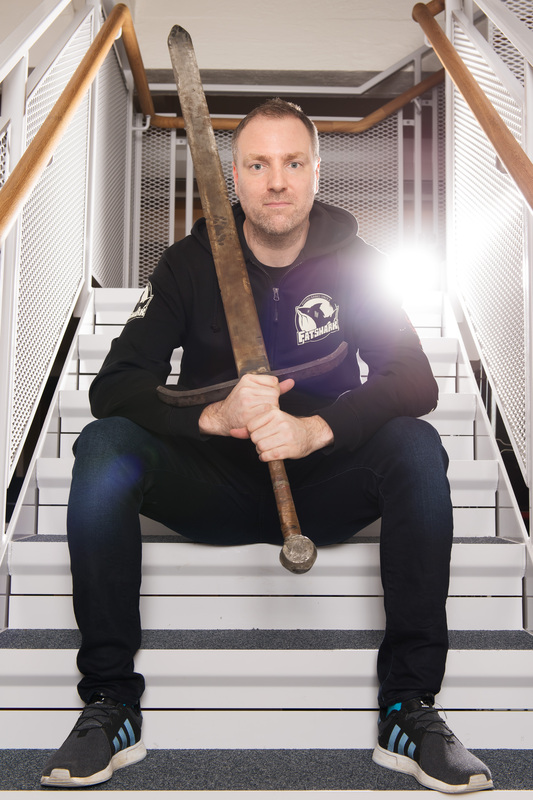 Ahead of today's release of Vermintide II, GamesIndustry.biz caught up with Martin Wahlund, CEO of the Stockholm-based studio to discuss the challenges of making a licensed title, and what makes the Warhammer franchise so well suited to game adaptations. There is an established approach when it comes to developing Warhammer titles that, aside from a few notable examples, leans heavily towards strategy games, as demonstrated by the recent success of the Total War: Warhammer series. But not only did Vermintide break that mould, offering up an entirely new Warhammer experience, it was also a critical and commercial success. How then does a relative outsider like Fatshark - with a back catalogue of oddities such as Escape Dead Island and War of the Roses - persuade Games Workshop to relinquish the license for a first-person co-operative title in the realms of Left 4 Dead? "It felt good to do something that was not like the games that had come before," says Wahlund. "We knew that those games kind of satisfied the classic Warhammer player. I don't think Vermintide would have worked as the first Warhammer game, because it needed to be something similar to the actual board game. But with that satisfied in the market already, we felt that going in a different direction with this was more appealing, and I think Games Workshop felt the same." "[Games Workshop has] learned that pushing stuff out too early is the best way to destroy a game"
While market forces certainly played into the decision, Wahlund says that a deep understanding and genuine love of the brand helped Fatshark press for a game that defied conventional wisdom. "From day-one Games Workshop saw how passionate we were about the IP," he says. "Our executive producer and game director are super fans of Warhammer, they are so into the lore and knew so much about it. Even though I had played a lot, I felt like a junior when talking to them, so that was one of the things that ticked their boxes." However, making an agreement and making a game are two very different prospects and the question lingers still, why does Warhammer enjoy success where other licensed games repeatedly fail? Well, according to Wahlund, it's as simple as giving the studio autonomy and establishing a strong working relationship. But perhaps the most significant and obvious freedom Games Workshop grants developers is the ability to set their own release dates. "Controlling your release dates is so important," says Wahlund. "We self-funded our game, and self-published it, which gave us the freedom over our release dates. Like now, we feel the game is really fun to play so we can release it. Ultimately, the difference between a successful licensed game and a fiasco on the scale of the infamous Atari flop, ET: The Extra-Terrestrial, comes down putting a license in the hands of a studio that understands it, and giving that development team the autonomy to make it. Given how many licensed disasters we've seen over the years, who would have thought it was that simple?